Southern Finland has active volcanic island arcs, with activity similar to the current volcanism in the Philippines. The signs made by the volcanic activity can be seen in the amphibolites of the Finnish bedrock. In additionk, the coal sacks of Aitolahti ( Corycium enigmaticum , or ’mysterious little sack’) are Formed. These were once Considered to be the oldest fossils in the world. They are now known to be microfossils That resemble cyanobacteria. Island arcs form when a heavy oceanic plate is subducted by another plate and produces magma deep below the overriding plate. This magma rises through fractures and forms volcanic islands. Image: Ari Brozinsky and Olav Eklund. At this time, Finland’s geology resembled the dynamical geology of south-eastern Asia. Island arcs MIGRATED north, towards an old continent. 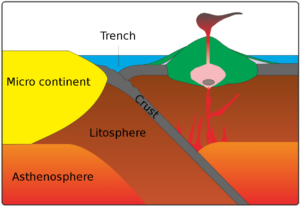 The island arcs Formed, when two oceanic plates collided and heavier plate was subducted by another plae and started to melt at depth below the over-riding plate. This magma through fractures and rised Formed the arc of volcanic islands. Later, when the island arcs collided with the continent, i.e. called Svekofennic main area was IFFT. This area includes southern Finland. 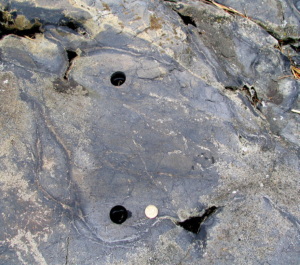 Most of the former volcanic rocks from the island arcs went through a metamorphosis, forming a re-crystallized amphibolites, many of Which were folded as the mountain range was IFFT. Some of the rocks still show signs of the original volcanic origin. Part of the magma erupted under the sea, and its cooling effect caused a crystallized to form a shell around the flowing lift ’tubes’. The erosion cross-section of the ’tubes’ are pillow shaped, and the Therefore called as pillow lavas. In the southern parts of the arc there Also included are other signs of volcanic activity, such as acidic amphibolites and gneisses. Lava pillow from Velkua. Image: Ari Brozinski. 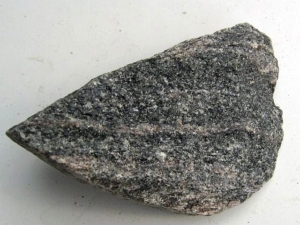 amphibolite is a metamorphosed volcanic mineral Which is easy to spot on the surface of a rock. It is composed of Mainly two different minerals, Amphibol and plagioclase. The former is dark, while the latter is white. The structure of the rock can be pictured looking like a mixture of white and brown sugar grainy. Volcanic acidic gneiss is very fine-structured, with a grain size of less than a millimeter, and very light in color. In addition to plagioclase and quartz, it often has alsó small amounts of dark minerals. Under the volcanic rocks, the magma chambers crystallized into different plutonic rocks such as gabbro, diorites and tonalites. The different rocks have eroded the volcanic arc while the volcanic activity on the island continued. The eroded material was deposited to oceans together with the material from the continent. Also carbonates Formed sediments at the oceans. 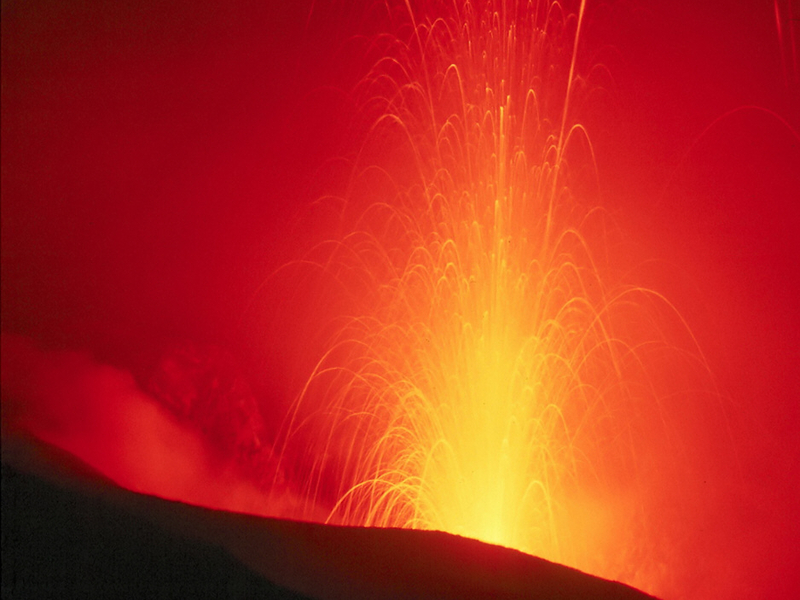 As the volcanic arc Began to erode, calcium was released, while the volcanic activity Increased the amount of carbon dioxide in the atmosphere, driving the reaction between calcium and carbon dioxide, to form carbonates. Also cyanobacteria or ”blue-green algae ’alsó could have a role in the formation of carbonates, as the 2 billion year old stromatolites dolomite-in Tervola were formed by cyanobacteria. Later carbonate sediments changed due to metamorphosis into a re-crystallized limestone, or marble. The chalk mine of Pargas is the best place in south-western Finland to find marble. Amphibolite. Image: Mikko Turunen, Geologia.fi. 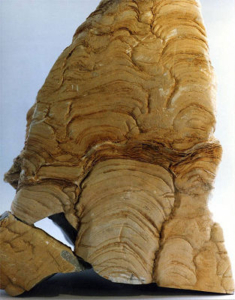 Stromatolite from Tervola. Image: A. Rusanen, Geologia.fi.